Munch on crickets, locusts, and Chinese medicinal ants in an iconic 1960s dive bar. You’ll enjoy wonderful treats such as waxworms, grasshoppers, and seasoned crickets, witness a cooking demonstration by David George Gordon himself, and view clips from Ian Toew’s documentary Bugs on the Menu. 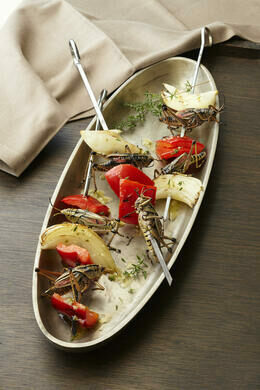 They say insects are the food of the future. Nutritious, plentiful, and easily farmed, they’ve been touted far and wide as the answer to global hunger. But are they delicious? 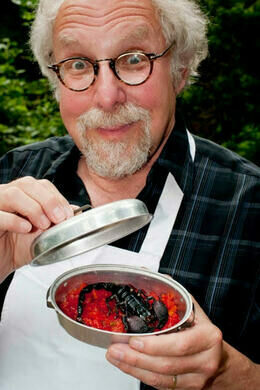 David George Gordon, also known as The Bug Chef, thinks so. 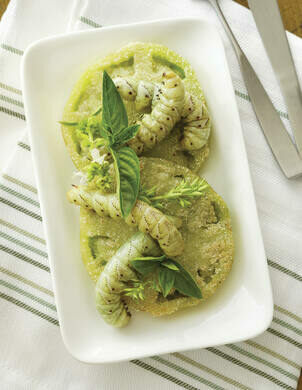 Gordon might be considered the original edible insect evangelist. His cookbook, The Eat-A-Bug Cookbook, is full of delectable recipes and glossy photos of gorgeous foods, and his international reputation has brought him everywhere from The Smithsonian to late night TV, where he has shared the stage with David Letterman and James Corden. Better yet for us, he’s local, and he’s agreed to bring his talents — and a whole bunch of bugs — to Darrell’s Tavern on Valentine’s Day for all to enjoy. 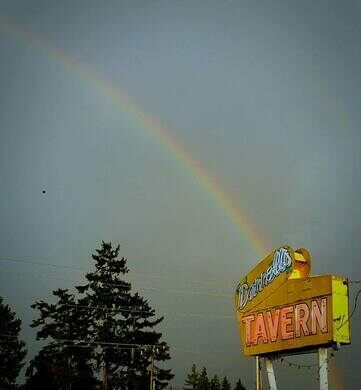 Part dive bar and part legend, Darrell’s is the place “where your dad used to drink.” Join us beneath the vintage beer signs and velvet Elvis paintings for a feast for the ages. For those who’d like to drink their bugs as well, or who’d like a little liquid courage before digging into the skewered locusts, the team at Darrell’s will be offering some insect-based cocktails for purchase at the bar. This event, previously titled "A Valentine's Day Insect Feast", was originally scheduled for February 14 and was postponed because of weather. This event is for those 21+ with valid ID. Free parking is available outside the tavern and on the streets nearby. There are a few steps leading to the front door, but the event otherwise takes place on one floor. There will be seating for all. 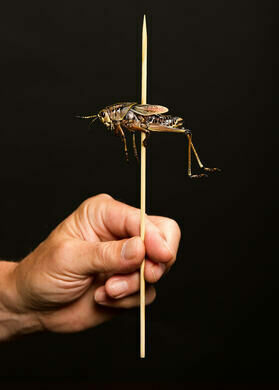 Individuals with shellfish allergies should be aware crickets can cause similar reactions.